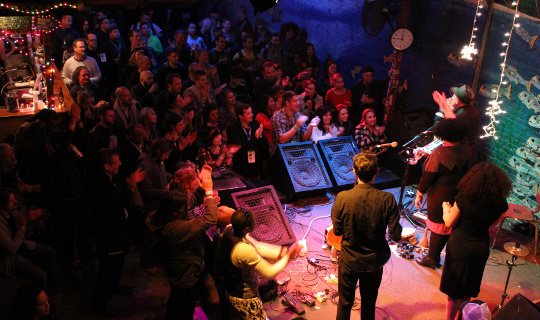 WOMEX once again returned to Austin, Texas, USA to present the annual WOMEX Night at the SXSW festival. 2019's WOMEX Night will be held on Thursday, 14 March at the Flamingo Cantina. See below to find out the wonderful music that the 2019 WOMEX Night will offer. The WOMEX Night is part of a bilateral, longterm partnership between WOMEX and SXSW, designed to open up new networking avenues to delegates of the two events. As Todd Puckhaber of SXSW states "I have been attending WOMEX for many years. The conference has proven to be an invaluable tool in shaping a stronger presence of global sounds at SXSW. It is the key networking opportunity for world music artists and professionals alike. I am pleased and honoured to have the WOMEX Showcase once again at SXSW."